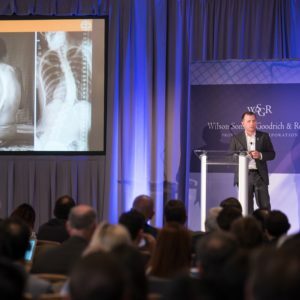 On June 22nd, MedTech Innovator co-hosts its value award competition at the WSGR Medical Device Conference in San Francisco. The event features pitches from pre-selected companies as well as networking and a panel highlighting MedTech Innovator success stories. Judges including investors, providers, and senior executives from medtech companies such as Johnson & Johnson, Baxter, Olympus, GORE and many others will provide feedback through a Q&A session after each pitch. The winner, by audience vote, is awarded a $25K cash prize and a profile in MedTech Strategist. All companies who meet the specified criteria are encouraged to apply here. Applications must be submitted by May 7, 2018. MedTech Innovator does not require equity from participating companies.